Virginia’s secretary of health and human services testified Thursday that he witnessed the special treatment former Virginia Gov. 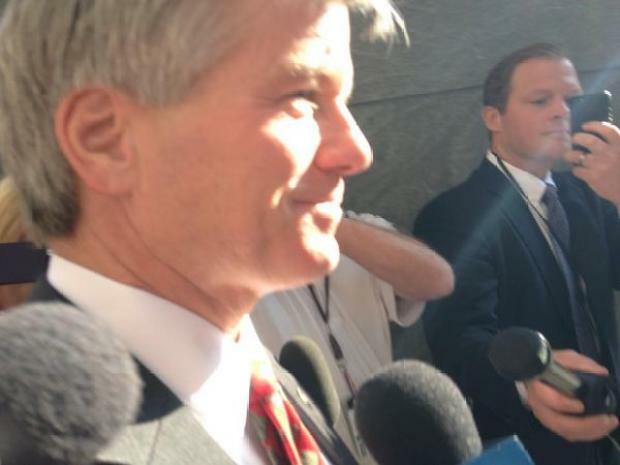 Bob McDonnell and his wife gave the businessman at the center of their corruption trial. Dr. William Hazel, who was appointed by McDonnell, nicknamed former Star Scientific CEO Jonnie Williams “Tic Tac man” because the samples Williams left behind after pitching his company’s dietary supplement Anatabloc resembled the popular mints. Hazel did not believe Williams’ claims about the supplement. A friend of the former first couple of Virginia’s daughter testified against them Thursday, Northern Virginia Bureau Chief Julie Carey reports. “To say I was skeptical was an understatement,” Hazel testified. He said he avoided several other encounters will Williams until an event in February 2012. Ex Aide to Maureen McDonnell Called Her a "Nut Bag"
His department was working with the governor and first lady’s staff to hold a health care leaders reception at the governor’s mansion. Hazel testified he was angered when the names of about 25 people, including Williams and other Star Scientific representatives, were added to the original guest list. “I was not excited to see these outsiders or people I wouldn't consider leaders involved,” Hazel testified. The first couple added Williams’ handpicked guests in return for tens of thousands of dollars he loaned them, prosecutors said. Hazel's most damaging testimony came when the prosecutor asked whether he's seen any other group get the treatment Williams and Star Scientific received. Eventually, Williams sought state-sponsored studies of his product, Anatabloc, through Virginia's public universities. The woman who ran the governor's mansion under Bob McDonnell said he worshipped the ground his wife walked on during the time she worked with them. Sarah Scarbrough, a family friend of the McDonnells, served as mansion director for much of the governor's four-year term. She testified Thursday at the corruption trial of Bob and Maureen McDonnell. A one-time member of the Bob and Maureen McDonnell’s inner circle took the stand Wednesday and offered testimony that damaged the defense in the former first couple of Virginia’s corruption trial. Northern Virginia Bureau Chief Julie Carey reports. Under prosecution questioning, Scarbrough said that she saw no trouble between the first couple, saying, "They seemed like a very happy, in-love couple." The prosecutor asked, "Do you remember describing Mr. McDonnell as worshipping the ground that Maureen walked on?" The McDonnells are charged with accepting more than $165,000 in gifts and secret loans from former Star Scientific Inc. CEO Jonnie Williams in exchange for promoting his dietary supplement products. Scarbrough's testimony that the McDonnells appeared to be in love undercuts an argument by the defense that the marriage had deteriorated to the point that the couple rarely communicated, much less engaged in a criminal conspiracy. But under cross examination from Bob McDonnell's lawyer, Scarbrough also confirmed that she told FBI investigators she believed he was in denial about his wife's mental capacity. "Did you also tell them their relationship was not the healthiest in terms of communication?" John Brownlee asked. Scarbrough, who is also a close friend of the McDonnells' daughter Cailin, repeated in less colorful terms some of what the first lady's chief of staff said yesterday. She testified that she'd previously described Mrs. McDonnell as sneaky and that it was "her way or the highway." As mansion director, Scarbrough was responsible for managing events. Prosecutors zeroed in on two mansion events at which Wiliams was present. Scarbrough says at the Aug. 2, 2011, luncheon with Williams and university researchers, she found it unusual that samples of Anatabloc were put at each place setting. Prosecutor Ryan Faulconer asked, "Did this seem like the typical mansion event to you?" "No," she said. She testified it could be described as a product launch, and she said the governor's political action committee paid for it. The second event prosecutors focused on was a February 2012 reception for health care leaders. Scarbroughtestified while the original guest list came from Virginia's Health and Human Services secretary, Maureen McDonnell later added a list that included Williams and several doctors and staffers affiliated with his company. Scarbrough was asked if it seemed strange that Williams attended the event. "Primarily, people there were actual doctors and he wasn't so, it was a little odd," she said. 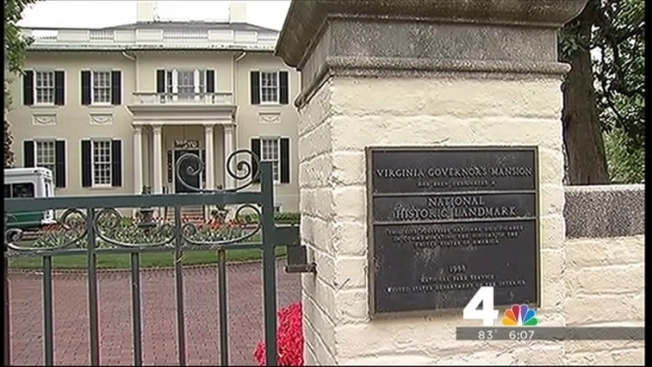 She testified that while the Virginia health department paid for the cost of the initial 100 guests, the mansion footed the bill for the added guests that included the Star Scientific group. #Mcdonnell inner circle member, Sarah Scarbrough, testifies she saw no marriage trouble. "They seemed like a very happy, in love couple"
Prosecutors underscored the fact that reception took place just days after Williams wrote a $50,000 check to the couple to help them with their financial woes. Scarbrough also recalled Maureen McDonnell's demeanor following the first meeting she had with members of law enforcement who were investigating the gift scandal in February 2013. "She was mad," testified Scarbrough. "She made a comment that they were... interrogating her and it wasn't fair and they were setting her up."